Extremely rare Summer twilight aurora display on June 22nd/23rd 2015 captured from the Maghera countryside at 10mm wide angle during the course of a freak G5 geomagnetic storm with a KP of 9 at the top of the scale. 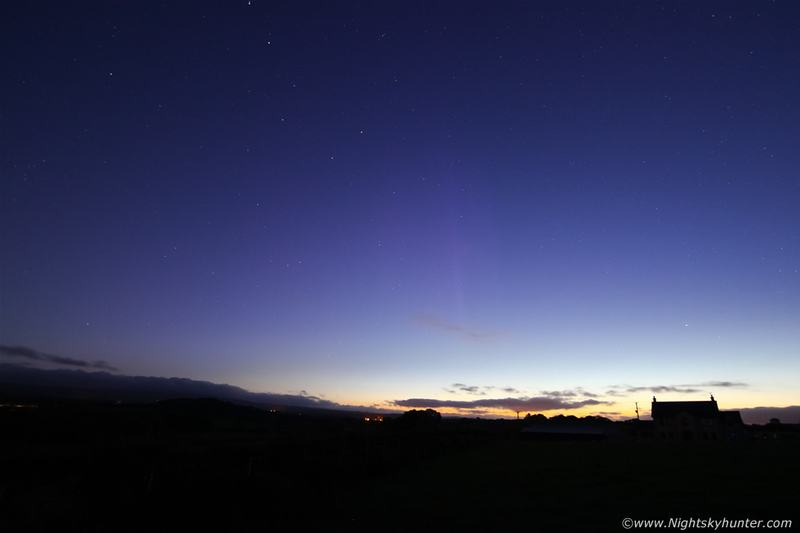 Several purple rays over 40 degrees high can be seen to the left of centre and above the country house. First time I have seen this in over 18 years of aurora watching!, read the report for more information. *All images are available for sale in the form of photo prints, canvas or digital files for licensing, if you are interested in a purchase simply drop me an email.